The Duke, to put it bluntly, has lost his mind. Once, he rode out to protect our lands from the darkness. Once, he fought for the honor of all who called this realm home. Once he was a man of justice and peace, but no more. This warrior who once was one of the land’s greatest protectors and generals of our time has turned on his fellow man and is rampaging across the countryside, choosing to turn towards the darkness that he once fought against so vehemently. No one knows for sure what has driven him to this point, or what has caused him to join the ranks of the Assailants our brave heroes battle on a daily basis. 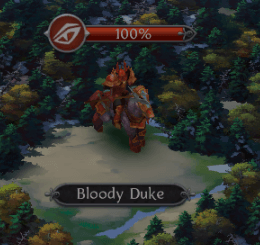 But one thing is for sure: there is no redemption for this man, and forever more he shall be known as the "Bloody Duke." 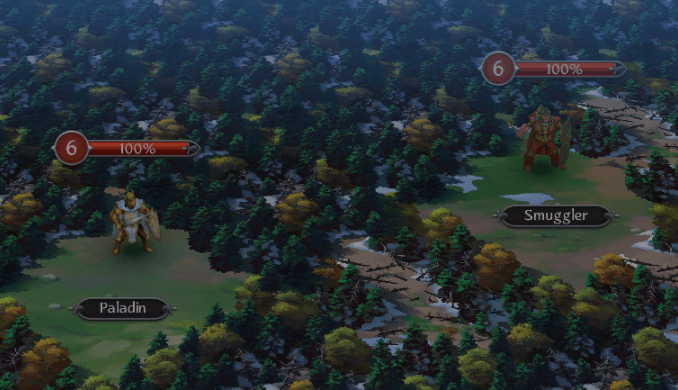 Surrounded by fellow defectors, he can be found rampaging through the great forests and plains of various Kingdoms. Brave warriors have already attempted to squash his war party, but this is no easy foe to beat. 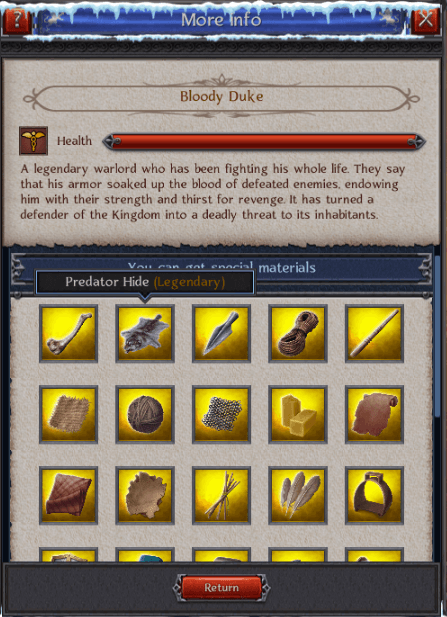 The Bloody Duke was one of the greatest minds for war this realm has ever seen, and it is going to take more than brute force to bring him to his knees. Still, for those who have the skill or the cunning, there are great riches to be reaped from conquering him and his fellow Assailants. This man was one of the most powerful generals we have ever seen, and thus within his possession are crafting materials and gems of Legendary quality. Riches beyond your wildest dreams await those who can defeat him and his minions. Regardless of whether your intentions to stop this vile force are driven by honor, greed, or fear, it matters not: the realm is in need of all warriors. His army must be defeated, and the Bloody Duke must be wiped from our history books for all time. This once-great man is no more, and the madness that has overtaken him must not be allowed to spread and infect any more than it already has! Ride forth brave warriors, and good luck, the realm needs you now more than ever.